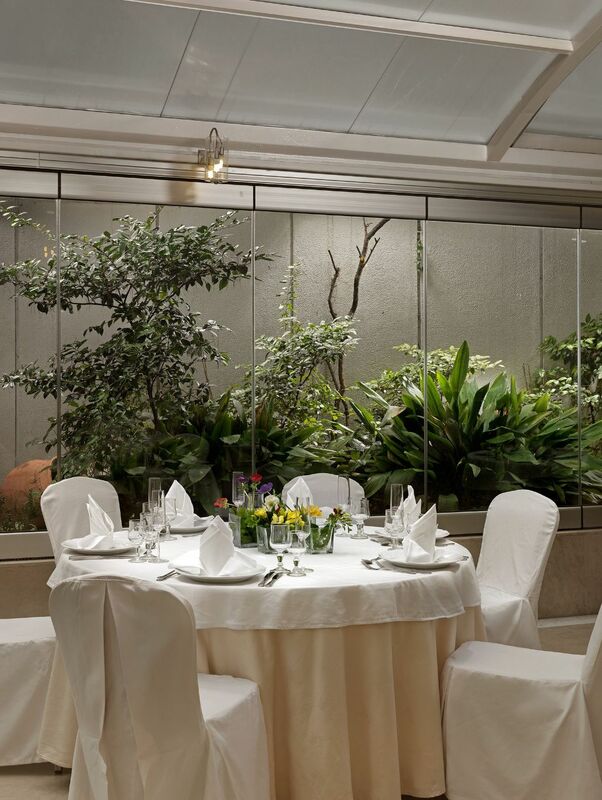 The “Acropolis” restaurant, filled with sun light, is an exceptional experience! 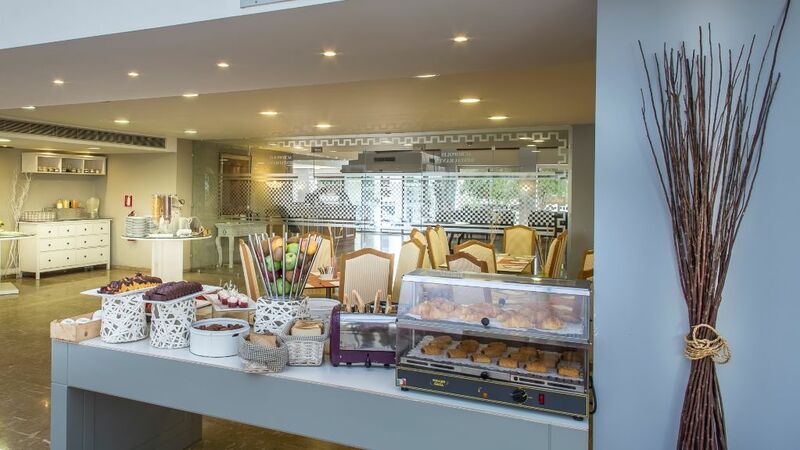 With large sunny lounges from where you can enjoy the colourful feast of flowers, get ready to taste the magc of the traditional Greek cuisine. 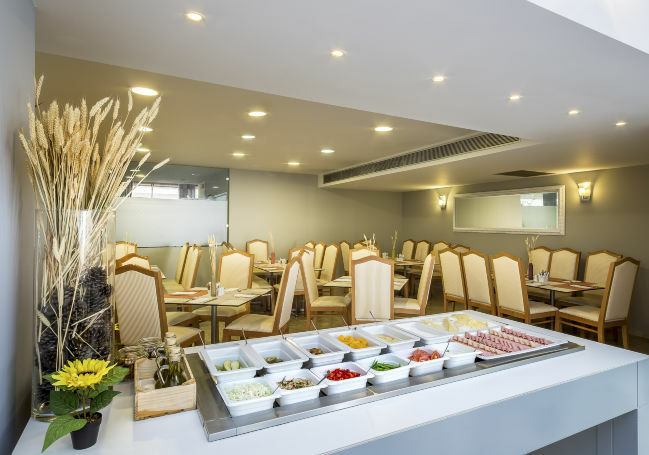 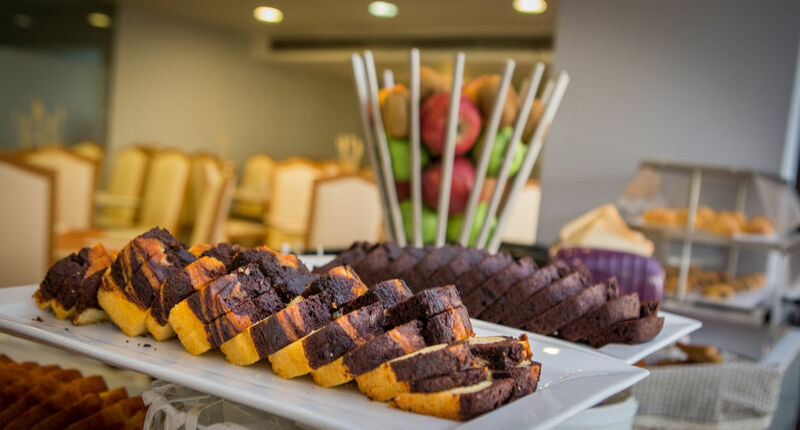 The same venue is used as breakfast room also, where guests can savor our tasteful Greek Buffet breakfast.